Most of us would love to forget about high school gym class and all of the humiliations that took place there, but if you’re a glutton for punishment there is a perfect workout device meant just for you. Mt. 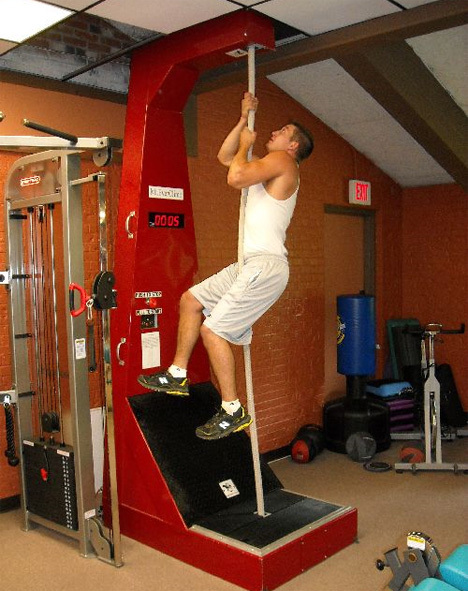 EverClimb is a machine that lets you climb a rope forever and ever – kind of like a treadmill of utter humiliation. Unfortunately, Mt. EverClimb doesn’t come with a hungover sadistic coach to keep you motivated. But it will reportedly give you a killer total-body workout and is much safer than climbing a rope for real (because of the bullies waiting to pants you, we guess). 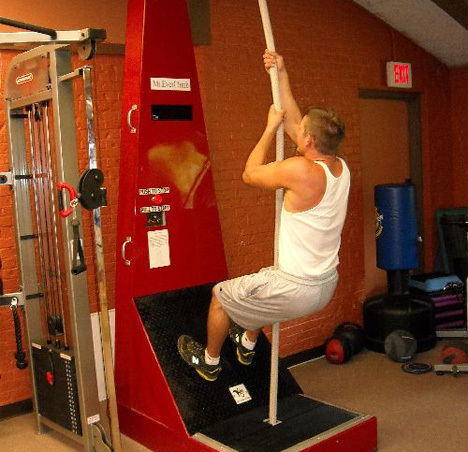 You can top off your home gym with this contraption for a mere $8,000. See more in Various Gizmos or under Gadgets. May, 2011.